WordyDoodles: You can save SCHIP! As a member of the MomsRising executive team, I've decided to spread the good word on my blog and post copies of the latest action items. We've been quite successful, having learned a thing or ten from our founders' experiences (Joan Blades co-founded MoveOn.org; Kristin Rowe-Finkbeiner directed an environmental PAC in WA State). I have learned an enormous amount about how to be politically savvy from them. 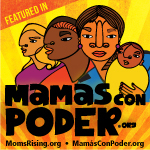 In just a little over a year, MomsRising has built a strong, active base (100,000+ members and growing daily). Imagine being told you couldn't take your child to the doctor for a full year. What might happen if your child got strep throat and had to go without medical attention for months and months? This sad scenario will be a reality for many U.S. families if the rules aren't fixed: Under new rules, made by the President, some children who depend on lower-cost health care coverage will have to wait a full year--with no insurance at all--to qualify for help. This outrageous requirement is part of a slate of changes made to limit the number of children who can benefit from the lower-cost health care coverage of the State Children's Health Insurance Program (SCHIP). We can't believe that in a country where 1 in 9 children go without any health care coverage at all, there is any thought of more limits. This senseless rules change is especially surprising because SCHIP is supported by Democrats and Republicans alike. When Congress returns from its recess in September, it will take up funding for the State Children's Health Insurance Program again. Tell your representatives that they must reverse these new and backward-thinking rules (described below), and fully fund the program. THE SCOOP ON SCHIP: This federal health care program (one of our favorites!) helps families afford health coverage for their children (and this help is critically important because right now 1 in 9 children are without health care coverage at all!). Here's how it works--it gives funds to the 50 States, who then use the money to create health care coverage programs for kids. Families that don't meet the low-income standards for Medicaid coverage, but still don't make enough to purchase private insurance, can apply for their children to be covered by the state-run plans. What makes this program so powerful is that it allows states to decide what level of assistance makes sense for their populations--taking into account the state economy, local cost of living, and the total number of uninsured children in their state. * Requiring a 1-year waiting period--with no insurance at all--for some children before they can be covered;* Pushing states to only cover children whose families are at 250% of the federal poverty level, regardless of the cost of living in that state;* Tying children's health coverage to private insurance enrollment rates: if private insurance enrollment is down in a state (for any reason), then the federal government won't cover more kids. This just plain doesn't make sense-particularly because private insurance enrollment is often tied to a job so there could be a scenario where unemployment would go up, but help for kids' health care would go down!As a part of a nation-wide, bi-partisan effort, we've been working long and hard to re-authorize SCHIP this year. MomsRising members have already sent over 30,000 emailed letters to Congress urging them to fully fund this essential federal program. Now, these new administrative rules threaten to undermine that hard work. Let's tell Congress to stop the madness.